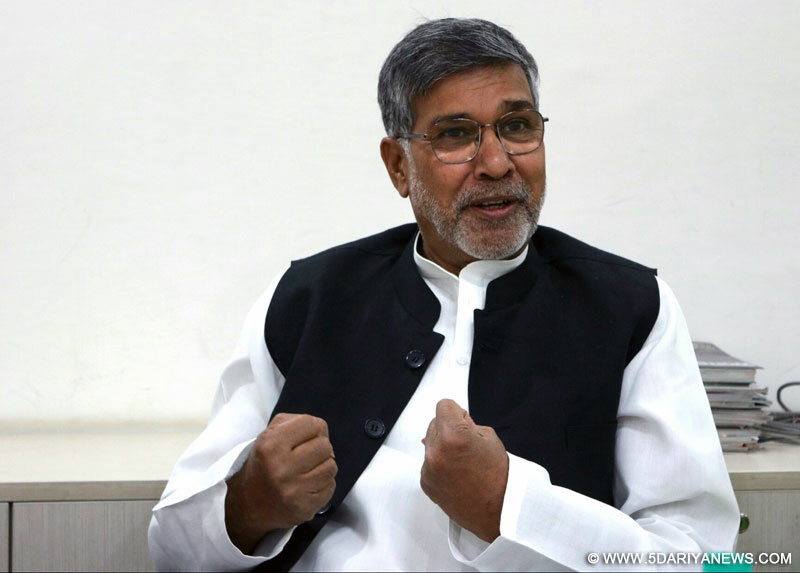 Nobel laureate Kailash Satyarthi on Thursday rescued nine children from an illegal factory here where they were slaving away after being trafficked from Bihar.Satyarthi and his NGO Bachpan Bachao Andolan (BBA) raided the premises in Old Delhi's Daryaganj area and rescued the children aged between seven and 15 years, the activist told IANS. All the children were from Katihar in Bihar, were confined in two rooms and forced to produce Christmas gifts for the Western market. "These children were working in a manufacturing unit producing shining Christmas decoration items," Satyarthi said. It was the second raid in which he personally took part since getting the Nobel prize in 2014. He said the workshop was located in a narrow lane. Satyarthi said he went there himself because the activist who had detected the bonded children had been identified by some locals. "I did not want to give him this responsibility to rescue the children as he could have been attacked," he said. "I was once attacked in this area seven or eight years ago." But as Satyarthi landed there with his team, he himself got recognized as a Nobel prize winner. "In no time a large number of people gathered and began shaking hands with me. Everyone welcomed me. And we easily rescued the children as our women activists entered the workshop and spotted the kids. "The rescued children will be taken to a centre run by Satyarthi's NGO for rehabilitation, he said. The workshop has been sealed and a police case has been filed against the absconding owner.